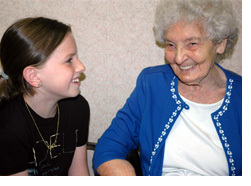 The Respite "Intermission" Program at Daughters of Miriam Center/The Gallen Institute provides temporary residential care for frail elderly persons who live in the community. 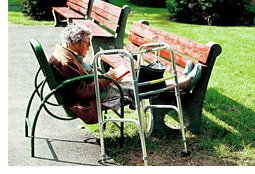 Skilled nursing care is provided in the long-term care facility. Program participants must have a stable home situation to which they can return. 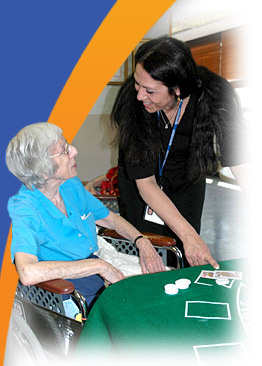 While at the Center, respite patients enjoy the wide range of structured activities available to all residents. The full complement of programs, from movies in the auditorium and bingo games on each unit, to special events and celebrations, keep respite program participants active and involved. The benefits to families are manifold. Caregivers can take vacations, deal with business or a family crisis, or just rest from responsibilities knowing their elderly loved ones are receiving care in a safe environment. For further information contact the director of admissions by clicking on the link or by calling 973-253-5358.